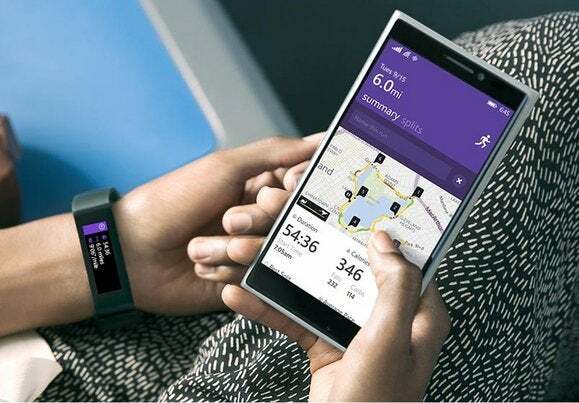 Just days after launching the Microsoft Band smartwatch, Microsoft has ditched it for a partnership with Fitbit to launch its new Lumia 830 phone in the United States. 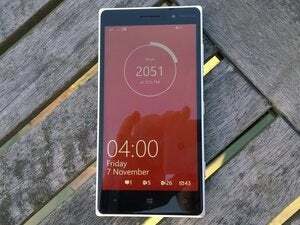 Beginning Nov. 7, customers can buy the Lumia 830 from AT&T for $99 with a two-year contract, Microsoft said Monday. And if they do, they’ll receive the Fitbit Flex, normally another $99, for free. That sounds fantastic, and if the announcement had come a week or so ago, it might be seen as a nice complement to the Lumia 830, which contains the motion sensor package that Microsoft has included inside its recent Lumia phones. While the Lumia 830 and the associated Bing Health & Fitness app can track your steps, it can’t monitor your sleep or the calories you expend as well as a fitness tracker. Unfortunately, however, Microsoft has since launched the Microsoft Band, a bigger, more expensive, and bulkier fitness tracker that doubles both as a smartwatch as well as a fitness band. The problem is that first impressions of its technical capabilities haven’t been totally favorable. And that of course leads one to wonder whether Microsoft is giving up on the Band before it even takes off. That’s almost certainly the wrong conclusion to make, given the apparently strong sales for the Band in its first few days. And Microsoft representatives moved quickly to tout the Fitbit’s capabilities. There’s two ways of viewing this. One, the more positive way, argues that the Band was designed for Android, iOS, and Windows Phone alike, and that Microsoft’s spirit of openness should extend to other fitness trackers as well. And yes, Fitbit's recent Cortana integration made it the first third-party app to embrace Microsoft's digital assistant, so it's nice to toss the fitness tracker this bone. But the more negative perspective is: what the heck is Microsoft thinking? The Band is barely out of stores and Microsoft’s Lumia division is already beating it over the head with a shovel. If you’re going to promote a companion to a new Lumia—as they say, promote from within. What this means: Spin it as you want. This is a PR flub, and one that should probably force a high-level meeting within Microsoft’s executive ranks. 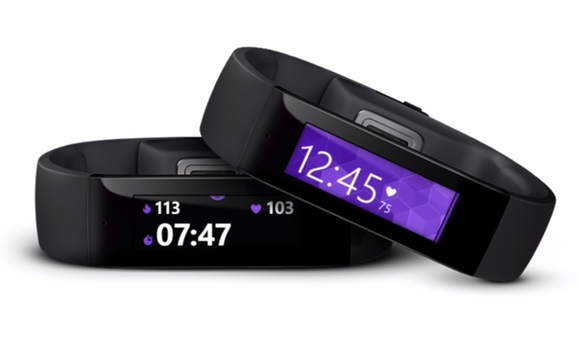 If you want to bundle a fitness tracker with a Microsoft Lumia phone, fine. It doesn’t even have to be the Band. What you need to do, however, is make it clear that the Fitbit Flex is a basic option designed to enhance the fitness capabilities of the phone, and if you want a band for work and for play, you should step up to the Band. But not even mentioning it is embarrassing.